Earlier this week I joined my Vermont UCC clergy colleagues as I attended “The Possessive Investment of Whiteness: Unpacking White Privilege” presented by Rev. John Dorhauer, the General Minister and President of the UCC. It was an important and difficult discussion. 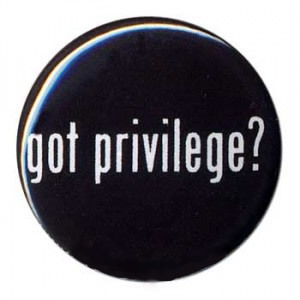 I am still processing my learning and wondering how to best approach the topics of racism and white privilege at RCC. Rev. Dorhauer gave four talks over the course of two and a half days, “A Spiritual Autobiography through the Lens of Race,” “Whiteness as the Norm,” “Whiteness as Cash Value,” and ‘What It Means to Be an Ally.” We also heard from Sha’an Mouliert, who spoke about “The Reality of Race and Racism in Vermont.” In addition, I also attended a lecture last night at UVM: “Racism, Islamophobia, and Empire: A New Understanding of Islam, Rooted in Social Justice, Gender Equality, and Religious/Ethnic Pluralism” by Dr. Omid Safi, of Duke University. Inspired by these conversations here are some possible ideas of what we might consider at RCC. This is by no means an exhaustive list. I’d love to hear your suggestions too. Worship: We can pray for racial justice and victims of violence. We can read “A Letter from a Birmingham Jail” by Dr. King in worship. We can sing spirituals, and gospel music from the African American tradition, and learn about the stories behind their composition. We already sing some songs from this tradition but we could do it more intentionally! Prayer Vigil: Attend the NAACP Prayer Vigil and March on Sept 25 at 6:30 PM, in front of the Unitarian Church in Burlington. Conduct a White Audit of the Church: How many books on our shelves are by white authors and people of color? How is God, Jesus, and the Holy Family depicted in images at our church? On our bulletin covers? In our Sunday School Curriculum? What are the racial and ethnic backgrounds of our clergy and church leaders over our church’s history? Church Sign: Put “Black Lives Matter” on our new church sign along with RIP “Name” every time a person of color is killed by police violence, for example “RIP Terence Crutcher, Black Lives Matter.” We discussed this at Church Council last night with the caveat that putting Black Lives Matter on the church sign would be done as an expression of solidarity with our black and brown sisters and brothers. Lifting up one segment of the population does not mean that we do not also care about people of all backgrounds, occupations, sexual orientations, economic status, religious traditions, mental and physical ability, etc. The Council discussed that with our new church sign we want to be thoughtful about how we use this space and what messages we post! Guest Preacher: At convocation, Rev. Sally May (First Congregational, Burlington) shared a powerful testimony of what her biracial children experienced growing up in Jeffersonville, VT, and how hearing their stories opened her eyes to the realities of racism in rural VT. Sally has said she would be happy to come and preach at other churches and share her story. Should we invite her? I welcome any feedback you might have on this topic, additional books or resources to consider, etc.